Bunny is still teething. At twenty months. She is wanting to bite because of the pain in her mouth. This is a hard thing for her because we are learning we do not bite other people. Bunny CAN bite the Charming Baby Infant Play Necklace while looking stylish. Charming Baby Infant Play Necklace is a soft necklace for moms (and toddlers) to wear and babies to play with. Charming Baby Infant Play Necklace is ideal for teething and for keeping baby entertained while in your arms. I love the Charming Baby Infant Play Necklace. Charming Baby Infant Play Necklace is 100% cotton. It is super soft and completely washable. 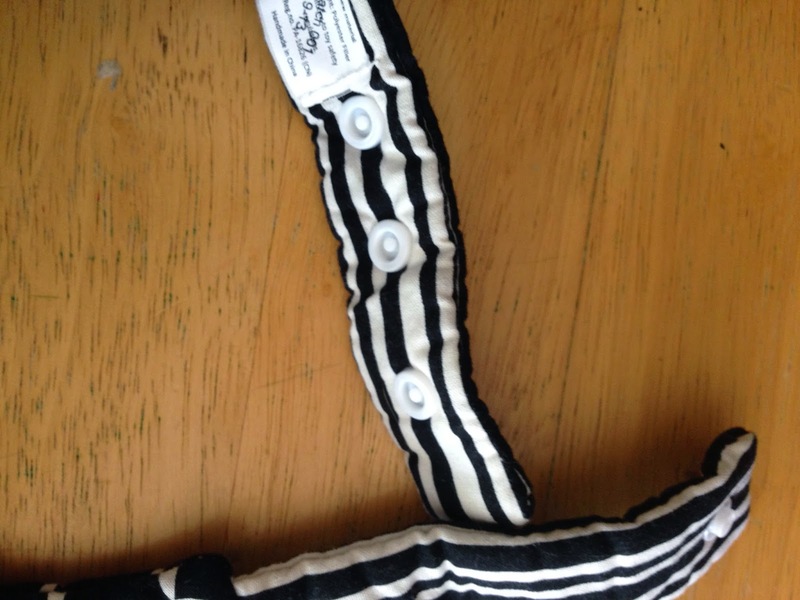 There are three snaps on the back to adjust the length. Charming Baby Infant Play Necklace has three shapes on it, all of which are detachable. 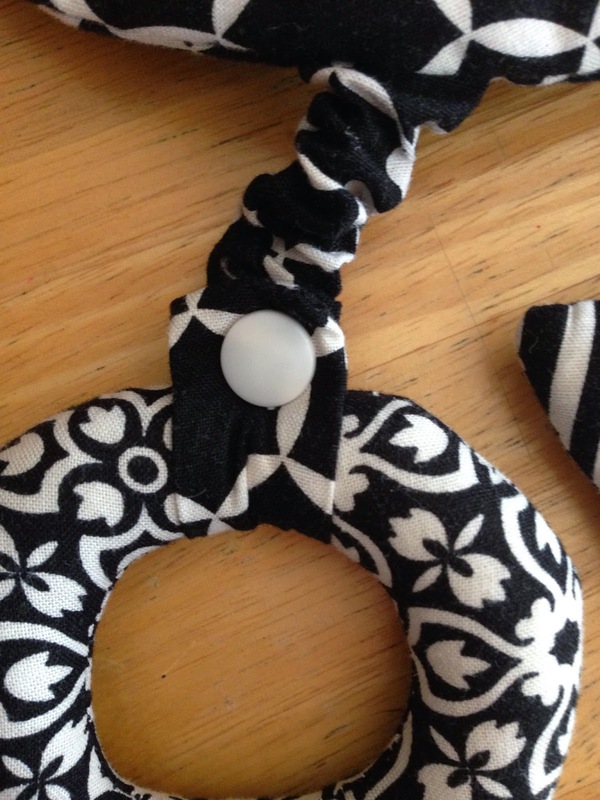 You can also add your own toys, pacifiers, and rattles. Most infant toys fit easily in Charming Baby Infant Play Necklace. Charming Baby Infant Play Necklace can change to accommodate your growing baby. 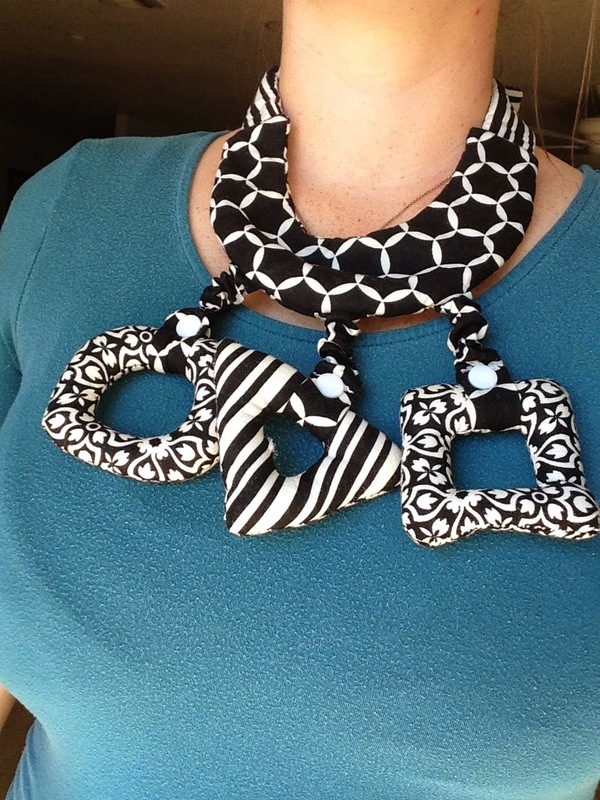 You can customize your necklace to hold your baby’s favorite toys. Charming Baby Infant Play Necklace is very comfortable to wear. It is easily adjustable and fits both me and Bunny. Bunny loves the patterns and the shapes. Charming Baby Infant Play Necklace is a great teething necklace and can be used from the time your baby is tiny until you wear it out! 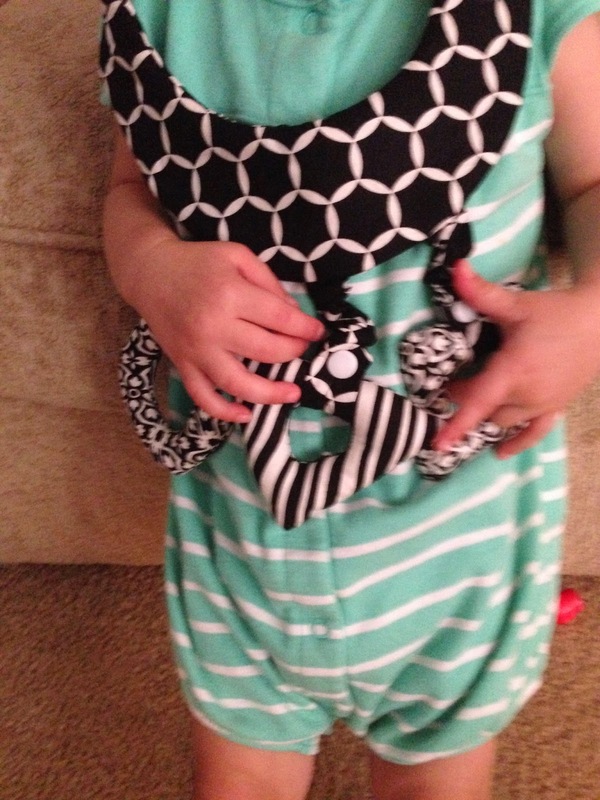 Bunny is twenty months old and still using Charming Baby Infant Play Necklace. 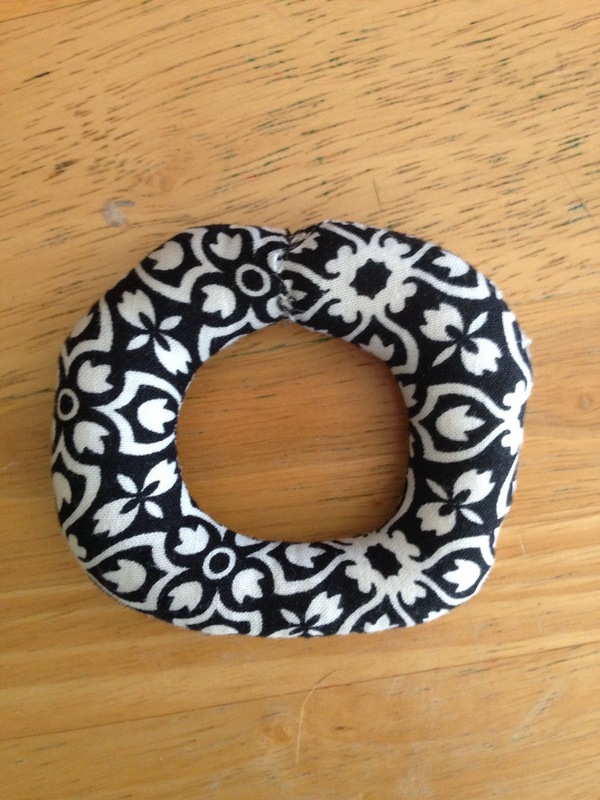 This would have been a wonderful accessory to have when Bunny was a teething infant. Charming Baby Infant Play Necklace is an accessory that can be used for years to come. Charming Baby Infant Play Necklace keeps baby occupied while in your arms and allows you to complete everyday tasks without having to keep baby’s hands from grabbing random items. 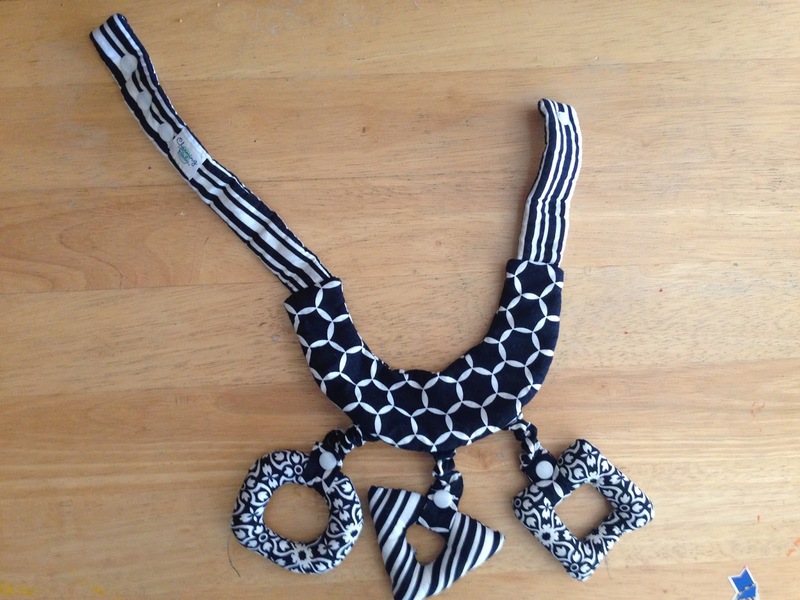 Charming Baby Infant Play Necklace is also great during diaper changes! Bunny is entertained by Charming Baby Infant Play Necklace when I change her diaper. I remember the wiggly baby she once was and know Charming Baby Infant Play Necklace would have helped greatly during diaper changes. Bunny loves when I wear the Charming Baby Infant Play Necklace. Bunny can wear the Charming Baby Infant Play Necklace and greatly enjoys wearing it. Bunny loves that she can wear a necklace I wear. Charming Baby Infant Play Necklace currently comes in four different colors: black, blue, orange and pink. You can buy Charming Baby Infant Play Necklace for $24.99.